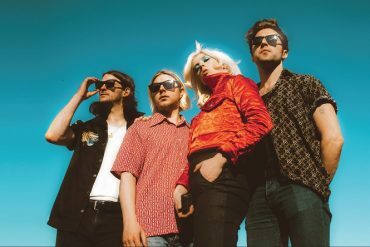 Brighton four piece Black Honey have been teasing new music on their socials for the past couple of weeks. At long last the wait is over and the band surrounding vocalist Izzy B Philllips today drop their single Somebody Better. The single comes with the b-side Cadillac. Both tracks are streaming below and are available from all digital retailers. With an atomic cloud prominently featured in the artwork by Olivia Savage, both tracks continue Black Honey’s cinematic themed aesthetics. Both tracks will be featured on the band’s debut album set for release later this year. Having formed mid-way through 2014, Black Honey have quickly become one of the most talked about guitar bands in the UK. Starting out shrouded in mystery the band let the music do the talking, there were no photos, no facebook page, only their TV themed artwork to accompany each track they released. 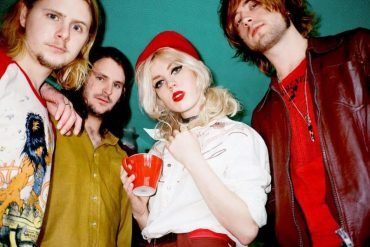 After playing shows with Ash, Wolf Alice and Slaves, Black Honey will head on a UK headline tour starting on March 23rd. Dates can be found below.